Our product range includes a wide range of flexible copper connector, laminated copper connector, high current copper stranded connector, bare copper foil connector with tinned ends and earthing strap. We are involved in manufacturing a wide spectrum of Flexible Copper Connector so that caters the various industrial requirements. The connectors are highly acclaimed by the industrial customers for various applications. Flexible Copper Connector manufactured by us in accordance with industrial quality standards. As a leading copper flexible connectors manufacturers, it has been precisely prepared by the skilled workforce using a high-tech process which ensures its longer functionality. Electrical wiring for electrical connection and power distribution cabinet. We are one of the prominent names to offer a wide array of Laminated Copper Connector that is used for continuous current conductors or earth straps (earth bonding cables). 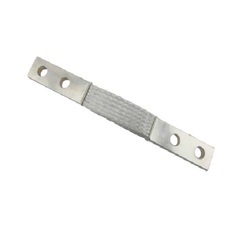 Offered spectrum of the connector is manufactured from optimum grade quality fabrication material and advanced methods of production under the assistance of highly experienced professionals at our vendor's end. Owing to our team, we have been able to design and produce High Current Copper Stranded Connector to our valuable clients. 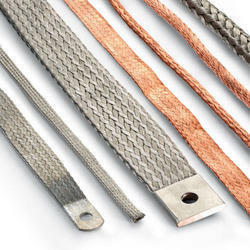 Our team makes use of top quality bare copper, tinned or silver-plated braided/stranded wires with end terminals and latest machinery to produce these connectors. These products are offered in various sizes and specification to meet divergent needs of the clients. These connectors can be availed from us at industry leading prices. 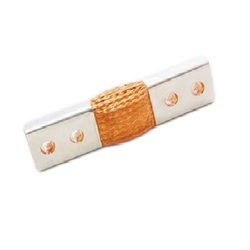 As a renowned organization, we are engaged in offering a wide range of Bare Copper Foil Connector With Tinned Ends. Offered products are used in induction furnaces, welding machine, plasma equipment and vacuum circuit breakers. These products are resistant to corrosion and ensure long service life. These products are highly appreciated and demanded by our clients due to their high quality and performance. We are offering these products at a nominal market price. Application These products are suitable for the connection of DC resistivity of copper stranded. 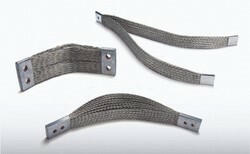 We are consistently delivering a quality assured range of Earthing Strap. These products are used for grounding safety in commercial & residential areas. Offered range of products is highly demanded by our valuable clients due to the excellent properties, precise designed and of the best quality. These products are used by various industries to achieve the best results. We are providing these products at leading market price.